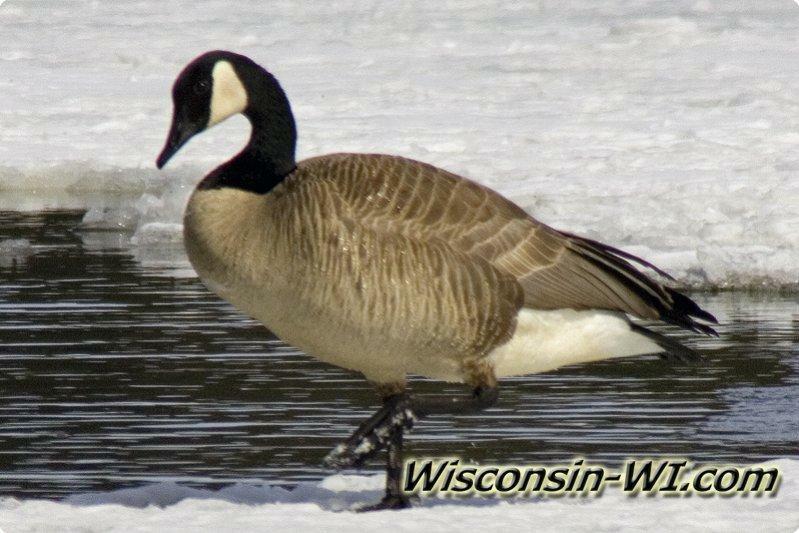 During the warm seasons of the year, you won't be able to walk very far without coming into near contact with a Canadian Goose. 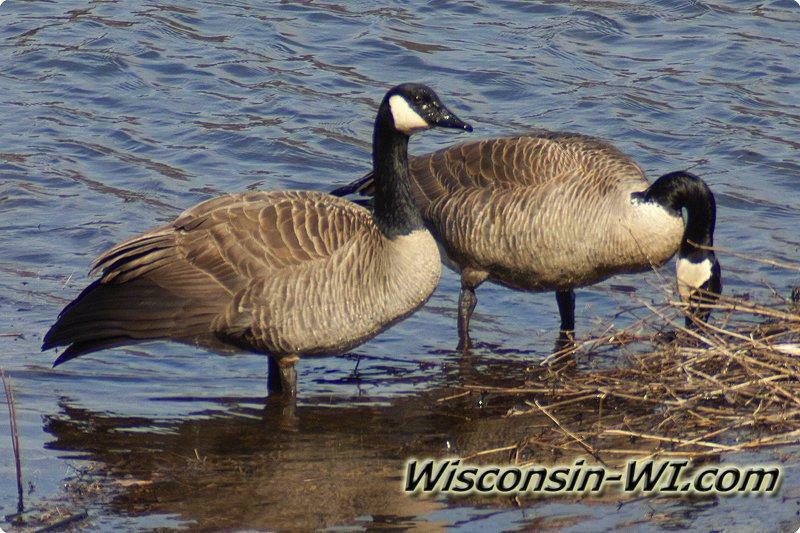 They are one of the most popular animals seen in Wisconsin. 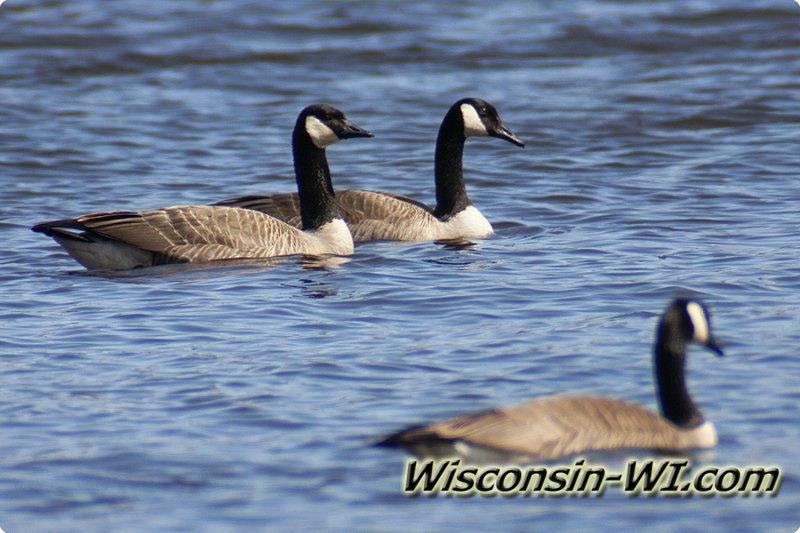 Did you know that there are presently over 1 million Canadian Geese? 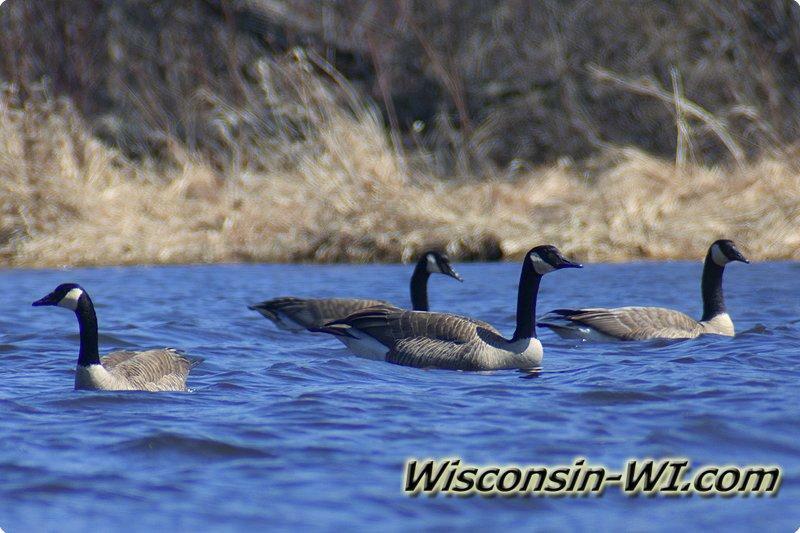 The population of these geese grows more and more every day. 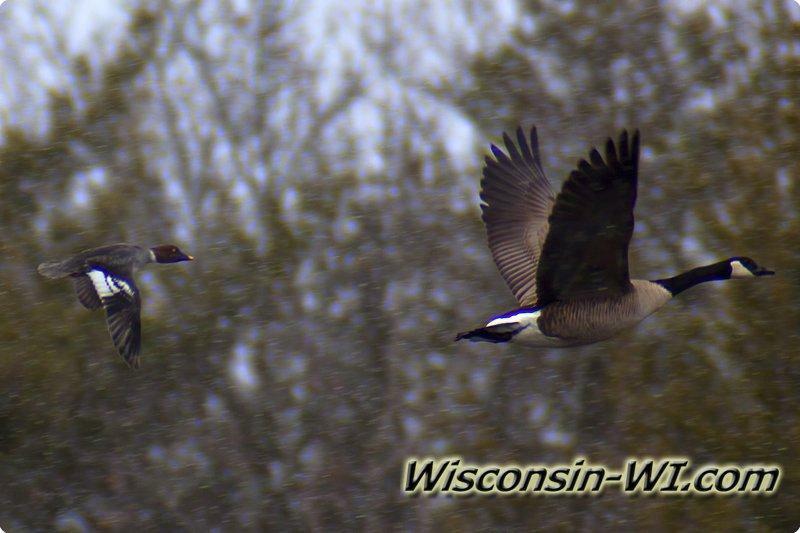 Another interesting fact is that the Canadian Goose has the ability to fly at the speed of 70 mph. 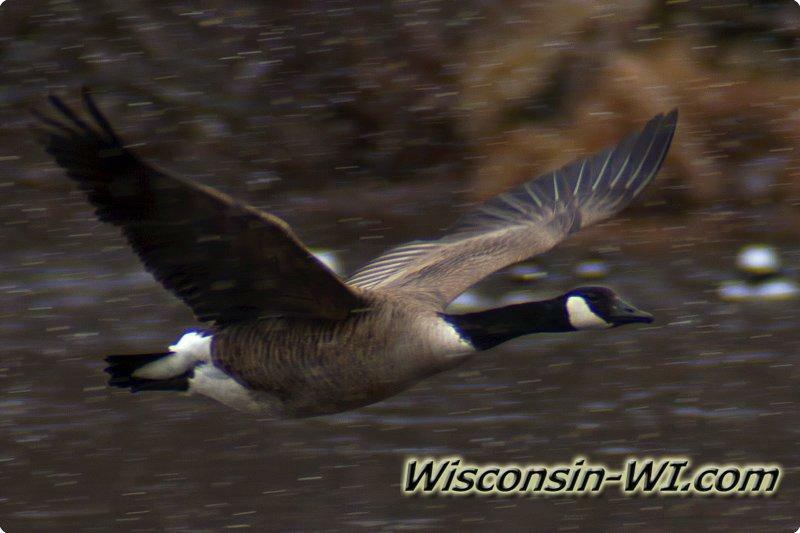 That is pretty fast for a goose. 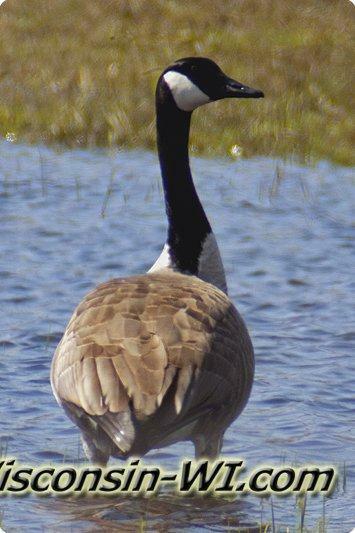 Canadian Geese also have very strong muscles. 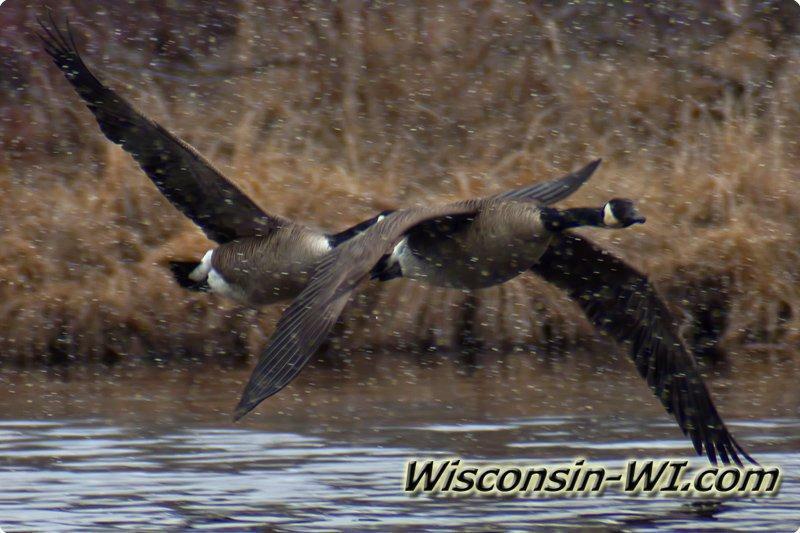 These muscles help them be able to fly for long distances; up to 16 hours. 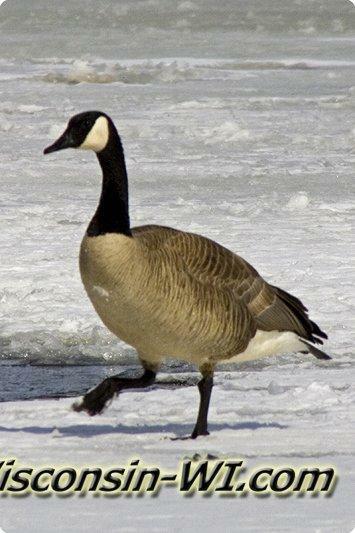 One major disadvantage for the Canadian Goose is that humans constantly tossing pieces of bread and other snacks to them. 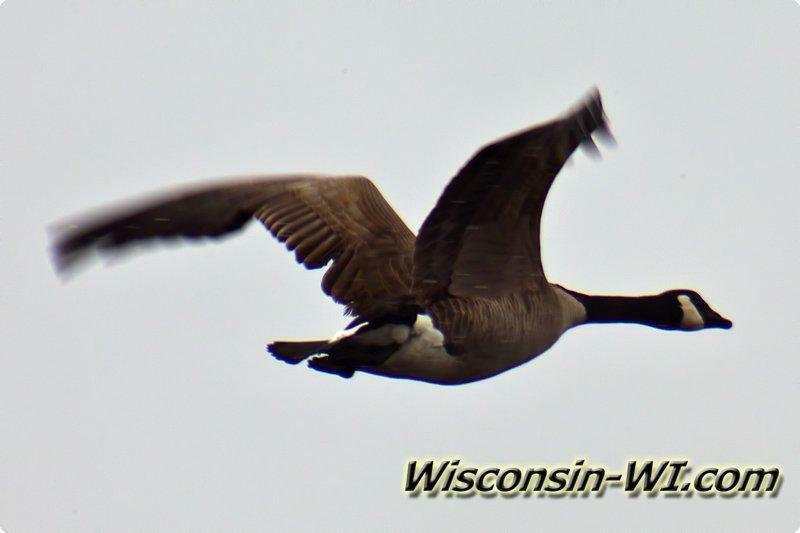 If the goose gets too used to getting hand-outs, it might come to depend on those hand-outs and not know any other way of getting food. 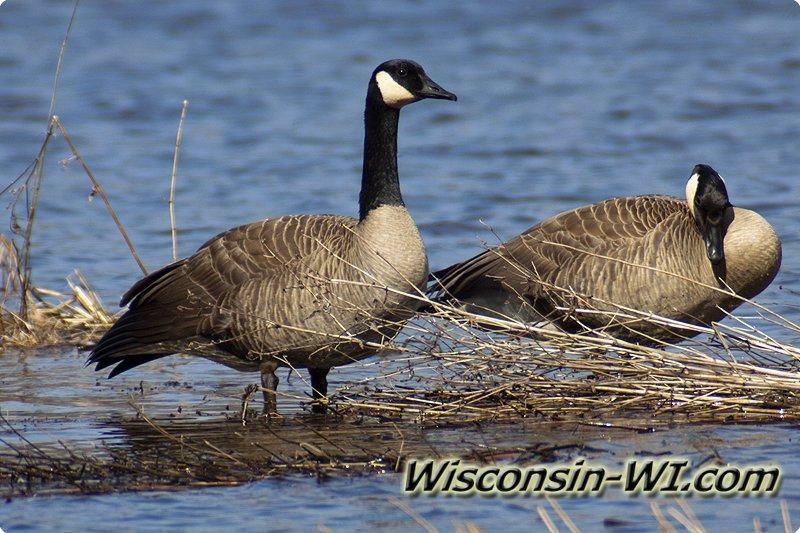 They are an amazing creature. 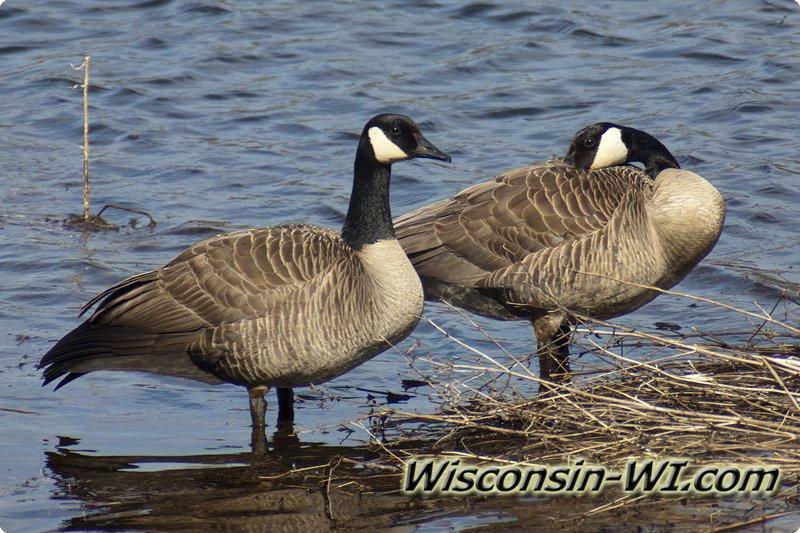 As long as one of their predators doesn't get them, the Canadian Goose has a very long life span. 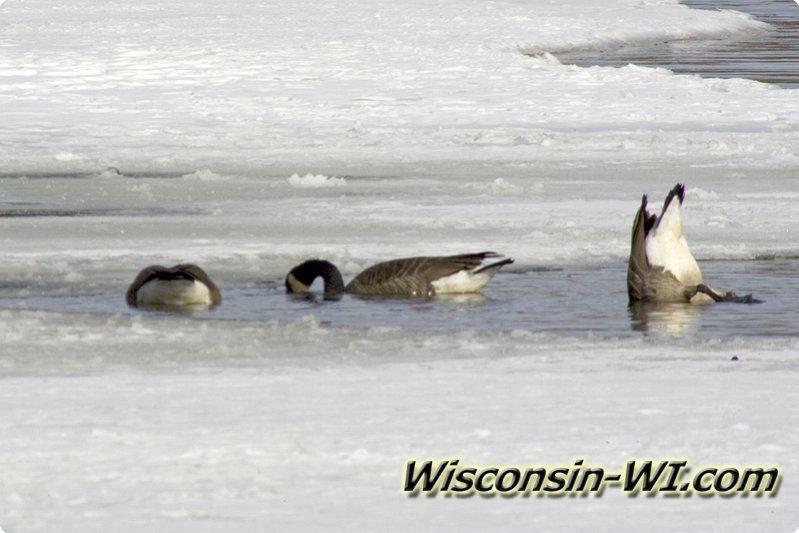 They are lucky for this. 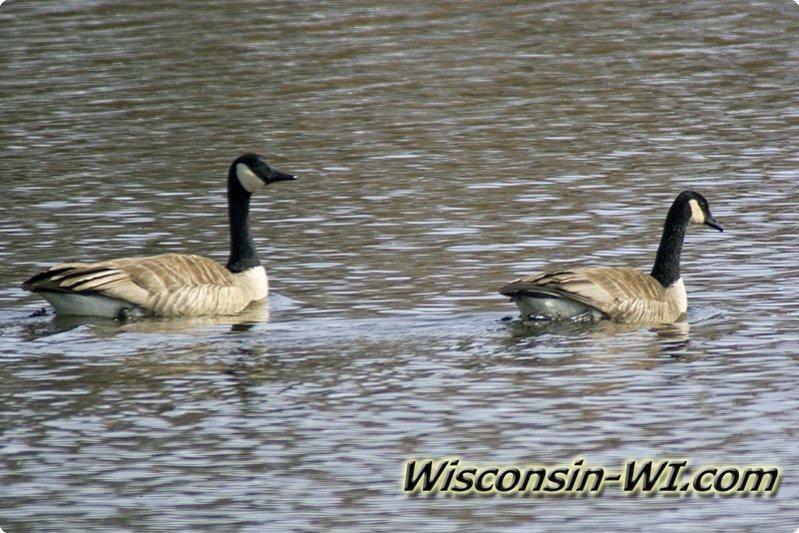 Enjoy their presence, but give them their distance. 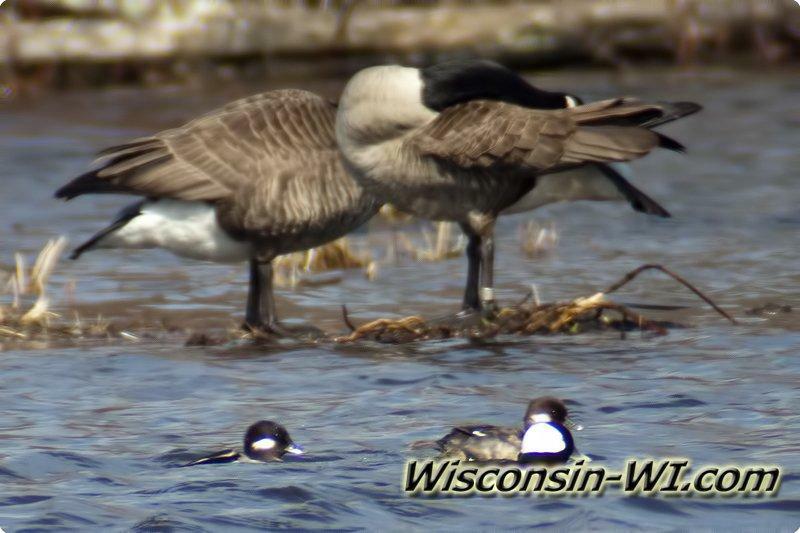 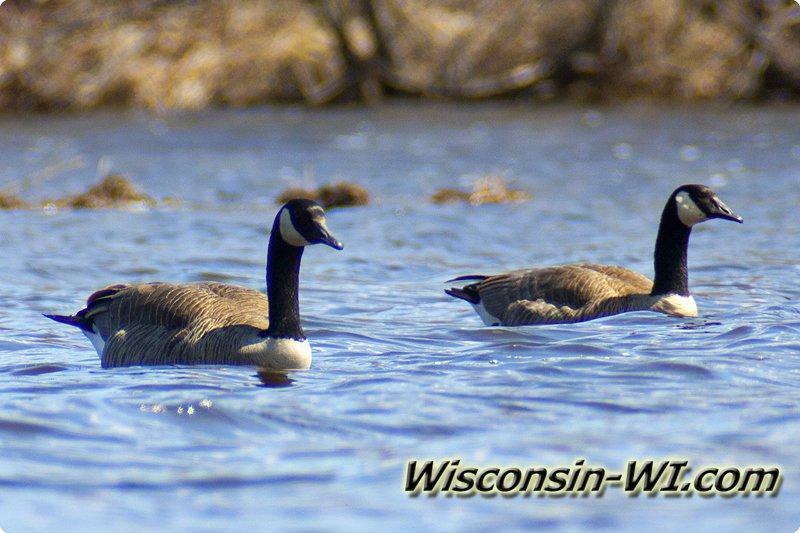 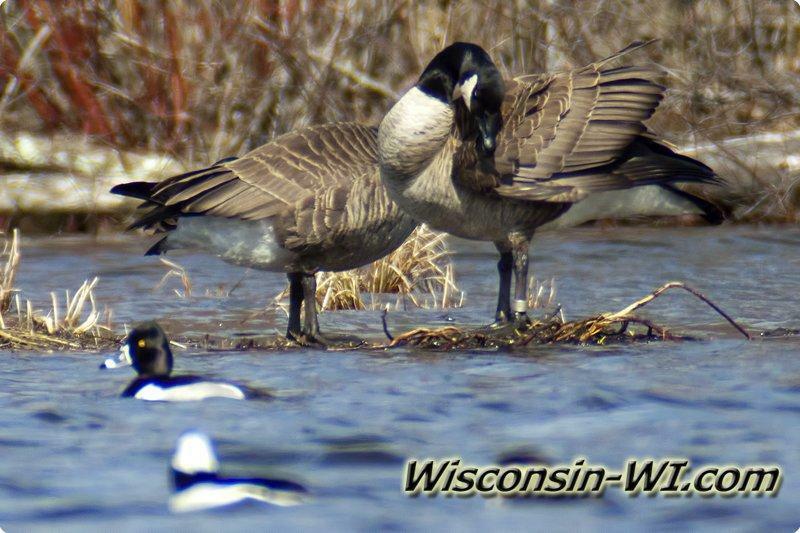 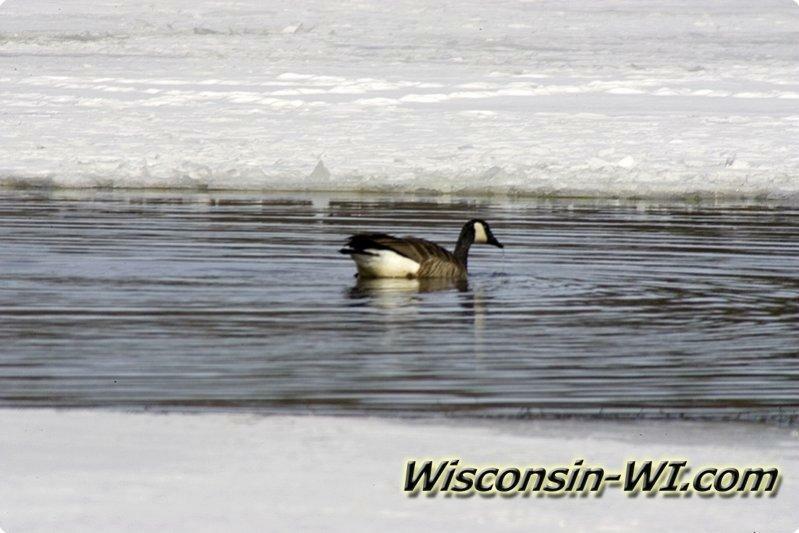 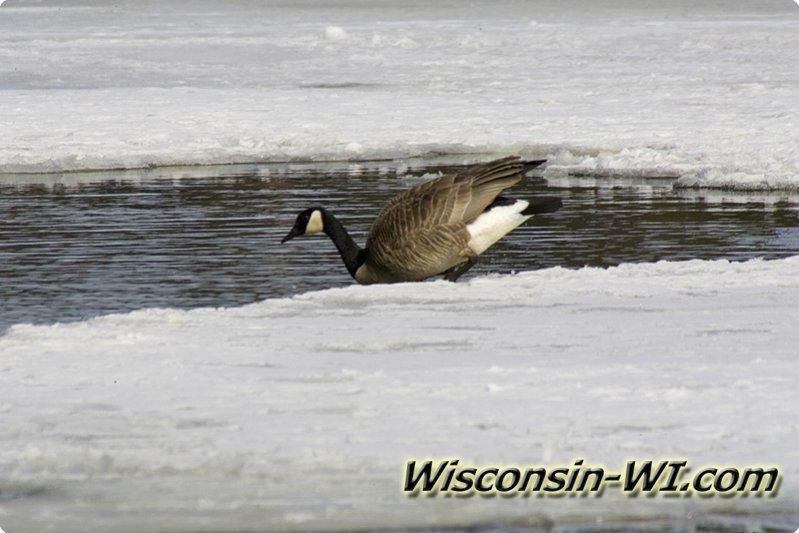 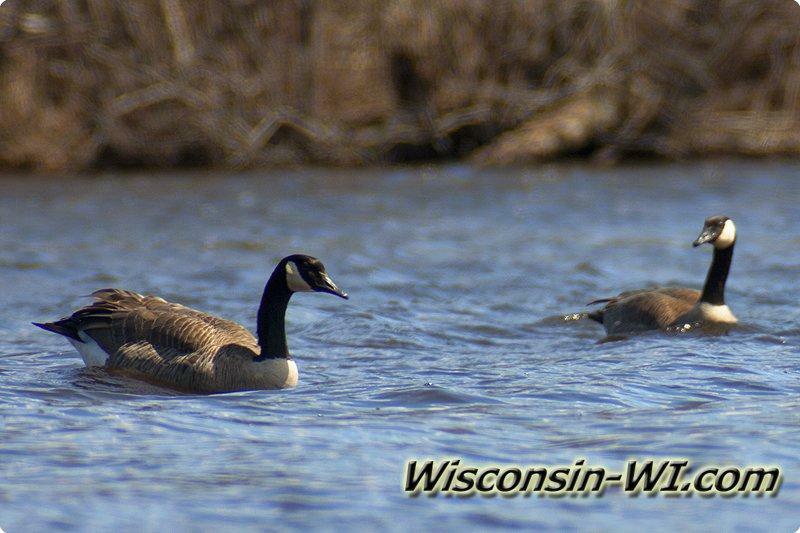 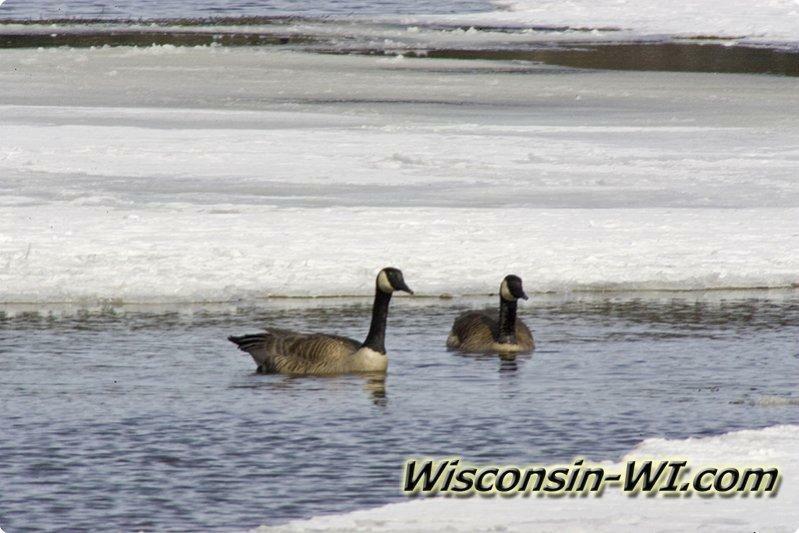 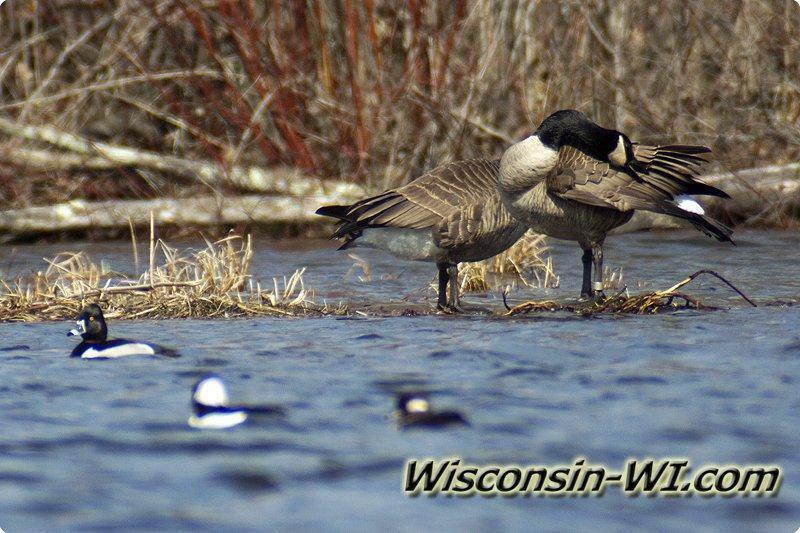 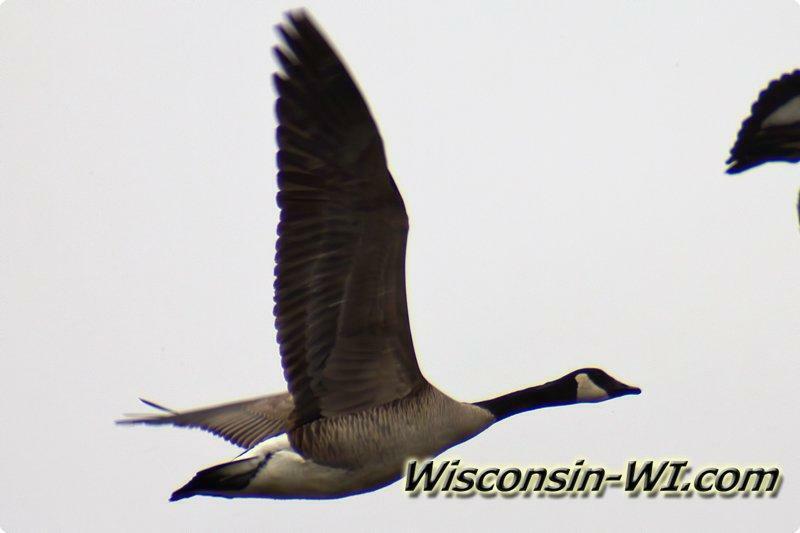 Come see Canadian Geese in Wisconsin by our lakes, rivers and fields. 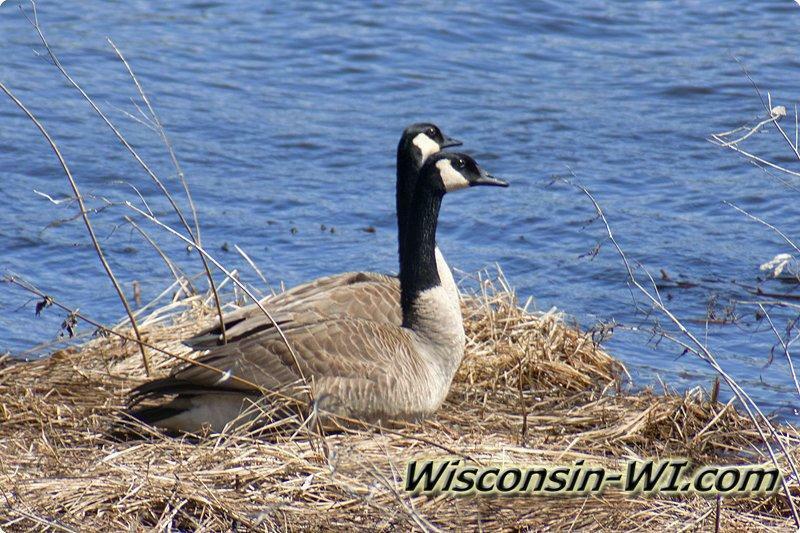 Reproduction: lay eggs in late spring, 4-6 eggs, incubation of 26 days, after 70 days-babies learn how to fly. 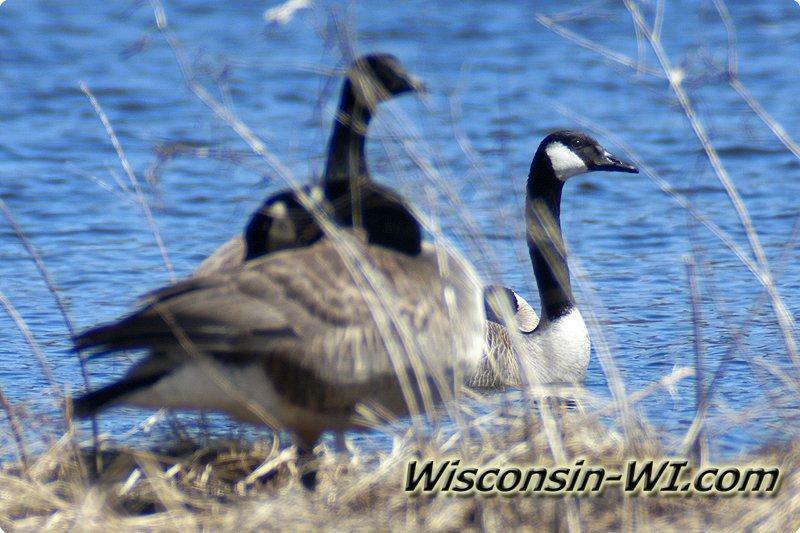 Extra Facts: 12 different groups, are most common species group mostly seen year round, will sometimes travel up to 16 hours. 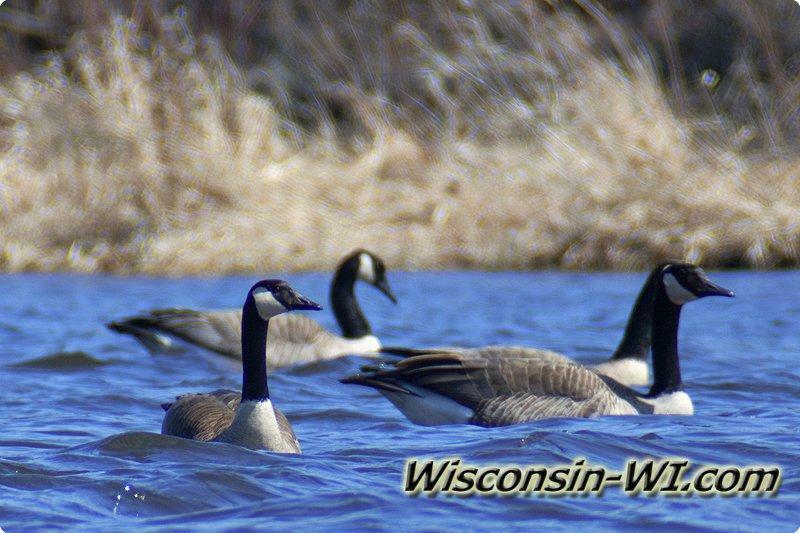 Part of Wisconsin it generally resides: throughout Wisconsin.